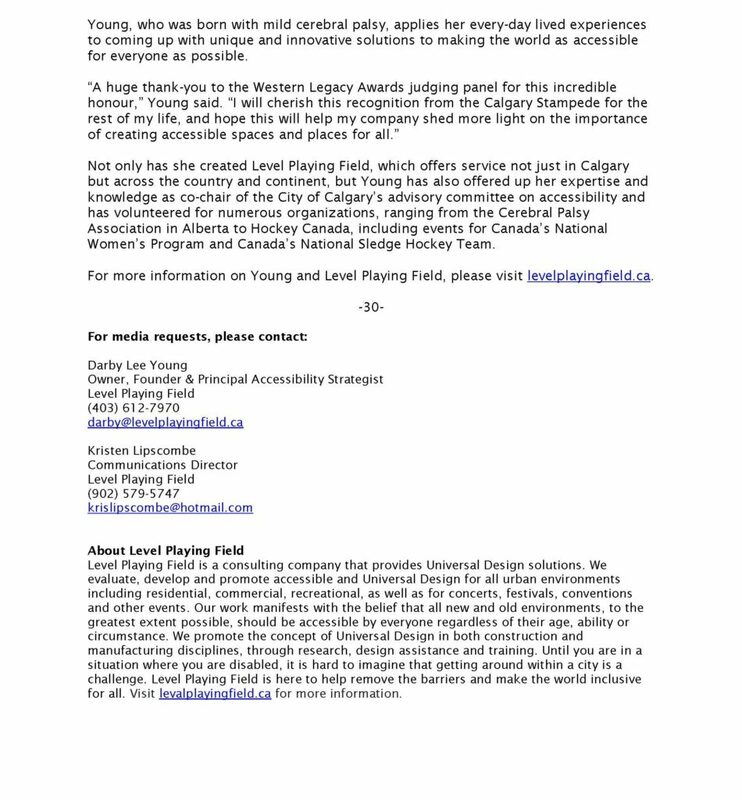 CALGARY, Canada – Level Playing Field (LPF) is pleased to announce that Darby Lee Young, Founder and Principal Accessibility Strategist, has been named one of Canada’s Top 40 Under 40® for 2018. Canada’s Top 40 Under 40® is an annual recognition of the exceptional achievements of 40 outstanding Canadians under the age of 40. The program is supported by several prominent organizations enthusiastically committed to Top 40’s success, including: Founder and Managing Partner Caldwell; Presenting Partner MNP LLP; National Partner Gluskin Sheff + Associates Inc.; Media Partners BNN Bloomberg and National Post; Travel Partner WestJet; Research Partner Caliper; and Leadership Forum Partner Toronto Region Board of Trade; with fact checking and verification by Inline Reference Check. Founded in 1995 by Caldwell, Top 40 has recognized more than 680 outstanding Canadians and is the country’s most coveted award for young business leaders. Honourees have a remarkable track record of achievement after their win; the ranks of Top 40 alumni include hundreds of nationally and internationally prominent CEOs, CFOs, executives, and entrepreneurs. Darby and her peers were selected from over 800 nominees by an independent Advisory Board, comprising more than 20 business leaders from across Canada. Honourees were chosen on four key criteria: Vision & Innovation; Leadership; Impact & Influence; and Social Responsibility. The 2018 Top 40 Recipients were announced today on BNN Bloomberg and in National Post. Recipients will attend the Top 40 National Celebrations to be held in Toronto in November, and they will be honoured at the Top 40 Awards Night Gala to be held at the Metro Toronto Convention Centre on the night of November 21, 2018. CALGARY, Alta. 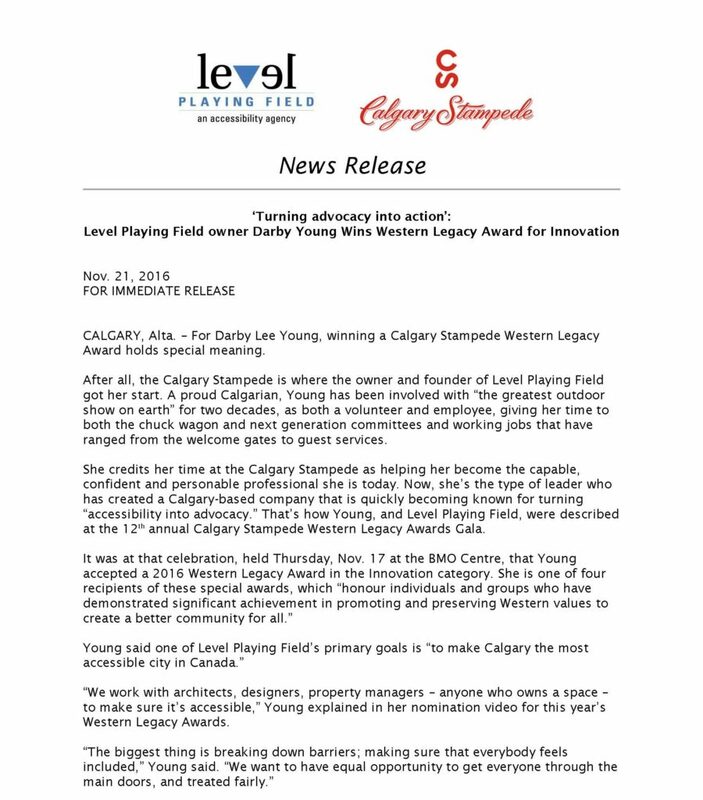 – Level Playing Field owner and founder Darby Lee Young is being honoured this week by YWCA Calgary as one of 150 women “who have had a significant impact on Calgary” as part of the local organization’s sesquicentennial project. Young’s name and impact will be featured, alongside 149 other influential women, in an art installation that will be revealed during a special event called She Who Dares this Thursday, Oct. 26 inside the atrium of the Calgary Municipal Building, which is located at 800 Macleod Trail Southeast, right next door to Calgary City Hall. The She Who Dares festivities kick off at 11:30 a.m. and run through 12:30 p.m. The Government of Canada issued a grant to YWCA Calgary to mark Canada’s 150th birthday, which is what has funded this unique art project. For more information on YWCA Calgary, please visit https://www.ywcalgary.ca. For more information on Level Playing Field, please visit levelplayingfield.ca. Follow Level Playing Field on Facebook, Twitter and Instagram to stay up-to-date on our latest projects and accessibility initiatives. 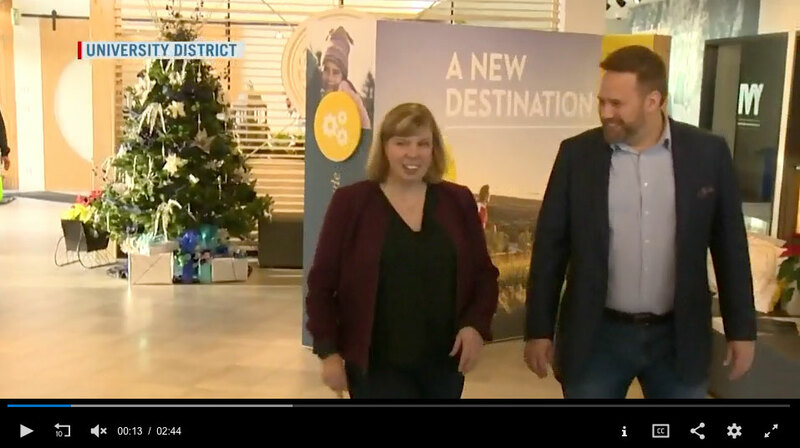 CALGARY, Alta – When it comes to making the world more accessible, Darby Lee Young and her consulting company are breaking down barriers and – quite literally – opening more doors each and every day. Perhaps that’s why Young, founder, and owner of Level Playing Field, is being honoured by Calgary-based non-profit Accessible Housing at the organization’s upcoming Dinner for Doors fundraiser. “With Darby at the helm, her dream of a barrier-free society could just become a reality,” Accessible Housing said of her groundbreaking work, which is making a difference not just in Calgary, but across the province and country, as well as even south of the border. “I’m truly honoured to receive the Kent Hehr Leadership Award and also wish sincere congratulations to Mr. Monk for his well-deserved Heart of Community Award,” Young said. The Kent Hehr Leadership Award Committee, comprised of volunteers from Dinner for Doors Presenting Sponsor First Calgary, met in early September to review the nominations and choose a recipient. For more information on this year’s Accessible Housing Dinner for Doors award winners, please visit http://accessiblehousing.ca/2017-awards. To purchase tickets to Dinner for Doors, described as “an experiential evening that strives to elevate levels of awareness of accessibility challenges and inspire compassion for people in need of adequate housing,” while giving guests the chance to experience part of the evening using a wheelchair, walker, vision-limiting glasses or other aides, please visit http://accessiblehousing.ca/dfd-2017. CALGARY, Alta. – Level Playing Field is thrilled to announce that our owner, founder and principal accessibility strategist Darby Lee Young has been named to the Premier’s Council on the Status of Persons with Disabilities, which serves as an advisory board for the Government of Alberta. The new Premier’s Council was approved by the provincial government June 28, with Young named alongside 13 other members, including chair Sheila Serup. Each member is set to serve a three-year term on council, through to June 30, 2020. “I’m absolutely honoured to join such an important, inspirational and influential team,” Young said. For more information on the Premier’s Council on Status of Persons with Disabilities, please visit www.alberta.ca or click here. Darby Young joins Global Calgary to discuss the importance of National AccessAbility Week. That’s why Level Playing Field, an accessibility agency now in its second year of business, is already growing its clientele base and generating interest on both sides of the border, is welcoming visitors of any and all abilities into the Calgary-based accessibility agency’s fully accessible office space at the Kahanoff Centre for an open house set for next, Tuesday, May 30. “As Canada’s first Minister responsible for Persons with Disabilities, I believe that our country’s diversity is our strength — and when we include people with disabilities, we create a stronger Canada for everyone,” the minister said May 3. “It is my pleasure to announce an annual national week devoted to inclusion and accessibility,” she said. “From May 28 to June 3 2017, National AccessAbility Week will celebrate, highlight and promote inclusion and accessibility in our communities and workplaces across the country,” Minister Carla Qualtrough said on the event website. “We’ve made great strides in promoting inclusion for Canadians with disabilities, but there is still much work to do. We need to change the way we think, talk and act about barriers to participation and accessibility, and we need to do it right from the start, not as an afterthought. An inclusive Canada is one where all Canadians can participate and have an equal opportunity to succeed,” she added. Staff members, supporters, and friends of Level Playing Field agree with these sentiments exactly. “Accessibility isn’t just for people who use wheelchairs; it’s for anyone who faces obstacles in their daily lives, whether it’s someone with hearing or vision loss, or even parents with strollers,” Level Playing Field owner, founder and principal accessibility strategist Darby Young said. With that in mind, Level Playing Field wants you to stop by our National AccessAbility Week open house, which starts at 4 p.m. and runs through 8 p.m. on Tuesday, May 30. Please visit the link provided above to RSVP your attendance. Level Playing Field’s fully accessible office is in Suite 810 of the Kahanoff Centre, located at 12 Avenue Southeast in Calgary. There will be wine and cheese, if that gives you the push you need to join us for a celebration of the progress we’ve made in making the world more accessible, as well as a discussion of the obstacles we still come across on the road to making all of the places we work, play and stay across this great country are accessible and safe to everyone, every day, everywhere in Canada. For more on the first-annual National AccessAbility Week, please visit the Government of Canada website by clicking here. You can also follow the movement on Twitter and Facebook. For more information on founder/owner Young, who is based in Calgary with Level Playing Field, please visit levelplayingfield.ca. Follow Level Playing Field on Facebook, Twitter, and Instagram to stay up-to-date on our latest projects and accessibility initiatives. CALGARY, Alta. – When Darby Lee Young describes how cities can become more accessible – and ultimately more successful –she answers in simple yet poignant terms. “As soon as there’s a barrier, my independence is gone,” Young, who was born with mild cerebral palsy and has overcome obstacles her entire life, recently told The Calgary Herald. It’s that forward-thinking mindset that has resulted in The Calgary Herald naming Young to the popular newspaper’s list of Compelling Calgarians: 20 People to Watch in 2017. As the owner, founder and principle accessibility strategist, Young has taken her company, Level Playing Field, from passion-fuelled grassroots initiative to impressive blossoming business in just under a year. “In order for accessibility to work – period – everyone needs to be on the same (plane),” Young told The Herald, explaining the thinking that helped get Level Playing Field off the ground. One “hope and dream” of Young’s is to make her hometown, the City of Calgary, one of the most accessible cities in the country. But her vision expands much further, with longterm plans to take universal design solutions to cities, towns, places and spaces across the country, south of the border and maybe even around the world. Level Playing Field has already provided accessibility consultation for concerts such as the Calgary Folk Music Festival and Stagecoach Music Festival, presented by Goldenvoice, in California. The company is now working on universal design contracts with major Alberta development companies such as Calgary Municipal Land Corporation; West Campus Development Trust; Jayman Built, ATCO, Ltd.; and MasterBUILT Hotels. Young’s own quickly growing business is also forming partnerships with local architectural firms such as NORR and Stantec Architects, as well as alliances with contracting companies such as Ryan Murphy Construction. 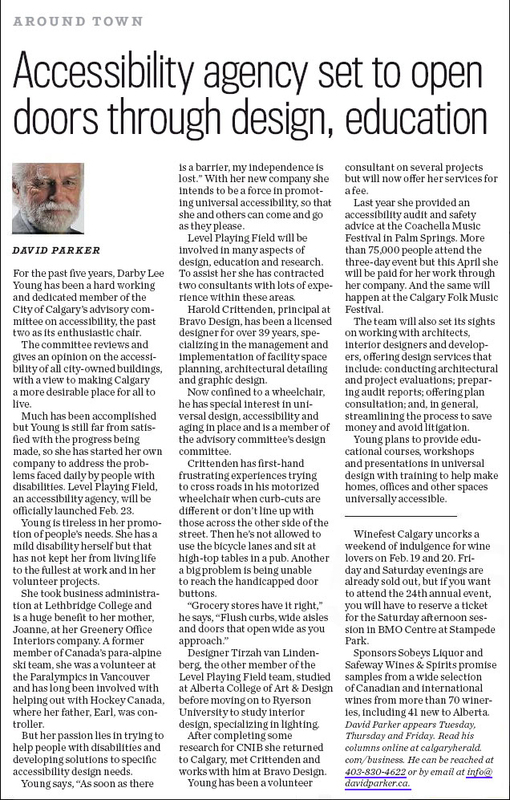 It makes sense that an ambitious young woman with plenty of lived experience facing accessibility challenges is now helping some of the City of Calgary’s top development minds figure out how to make their buildings and other developments as inclusive and accessible as possible. 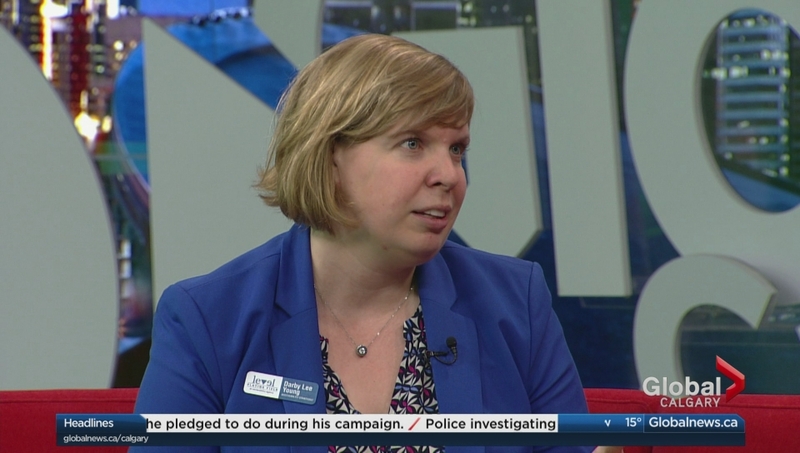 Young also has years of additional advocacy work under her belt, including with the City of Calgary’s advisory committee on accessibility, which helped earn her an actual belt buckle this past fall. Young said she’s truly honoured, thankful and proud to receive these recent recognitions – both the Compelling Calgarian nod and Western Legacy Award – but she’s mostly focused on making the world accessible – one day, one project at a time. “We work with architects, designers, property managers – anyone who owns a space – to make sure it’s accessible,” Young explained in her nomination video for this year’s Western Legacy Awards. For more information on Young and Level Playing Field, please visit levelplayingfield.ca. Follow Level Playing Field on Facebook, Twitter and Instagram to stay up-to-date on our latest projects and accessibility initiatives. 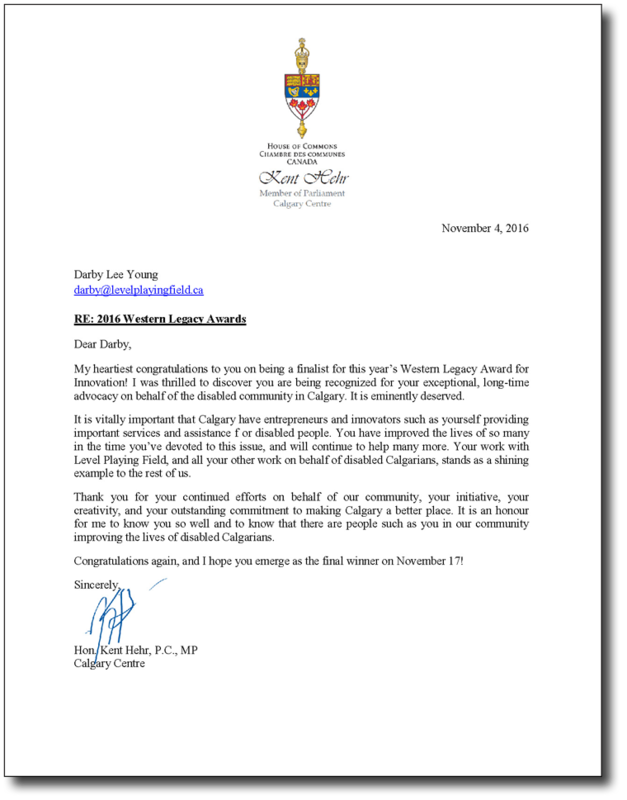 Letter of congratulations from The Honourable Kent Hehr, P.C., MP for Calgary Centre.